Wrong-site surgeries are a form of medical malpractice that can result in severe pain and suffering for Illinois patients working with a Chicago injury lawyer. Although this type of medical malpractice results in severe consequences, these surgeries are all too common. According to the U.S. Department of Health & Human Services, these errors occur in approximately one out of every 112,000 surgical procedures. These catastrophic medical errors can also happen when the wrong organ is removed from the body or the wrong limb on a patient’s body is amputated. These incorrect medical procedures are preventable and are often the result of poor pre-surgery planning, inadequate patient assessments, improper site marking procedures or poor communication among surgical team members. Wrong-site surgeries can also occur when more than one surgeon is involved in a procedure or when medical professionals are put under unrealistic time constraints. 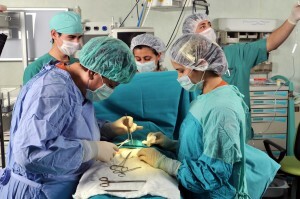 To prevent the number of patients who need to turn to a Chicago injury lawyer after receiving an incorrect operation, The Joint Commission has put several policies in place that surgical professionals are required to follow. According to these policies, hospitals must abide by a triple-check system before any type of operation is performed. In the beginning stages of an operation, surgical professionals must make sure that they are treating the right patient and the correct part of the body. Additionally, they must ensure that the right type of operation has been recommended. Right before the procedure is about to begin, this protocol also requires surgical professionals to take a minute and verify the operation that is about to be performed. During this final check, all of the professionals involved must come to a unanimous agreement about the procedure that they are about to do. However, some surgical professionals fail to abide by these procedures and their patients sustain serious harm that often causes them to experience emotional trauma and stress. Patients who had a wrong-site surgery performed on their body should consider consulting with a Chicago injury lawyer to determine what legal steps they should take next.